"The boys are developing in confidence and are making lots of new friends. 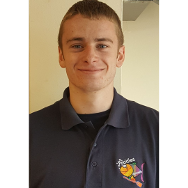 Paddles has such a friendly atmosphere for everyone." 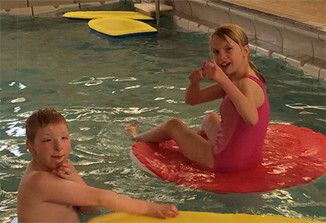 The Paddles Swim School will provide a community based project which can be easily accessed by young disabled people from the local and surrounding areas. to provide opportunities for social networking and greater social interaction. 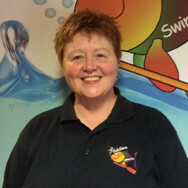 Anna has been involved in swimming for 40 years, from teaching to coaching, tutoring to swimming development. 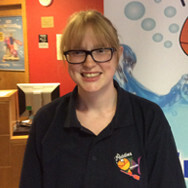 Anna runs her own swim business and has been instrumental in writing books on working with the disabled swimmer in water. 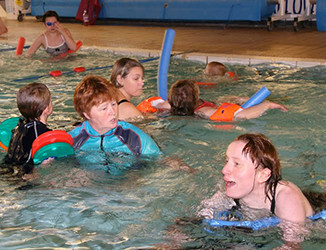 She is currently the School Swimming Teacher at Horton Lodge Community Special School. Siobhan is a local Leek girl and has swum from a very early age. She swam at a good county standard and went on to become a qualified swimming teacher. She currently works at Horton Lodge Community Special School and has vast knowledge of working with children with special needs. Siobhan is currently training to become a conductor. Matt lives in Cheadle and swimming is a big part of his life. He swam for Cheadle SC and was a good county swimmer. 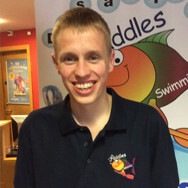 He went on to become a qualified swimming teacher and teaches for the clubs learn to swim programme. He also sits on the ASA youth scheme. Mark is a Level 2 swimming teacher. Works at south moorlands leisure centre. We follow the ASA levels 1 to 7 and survival awards and distance awards. We are really grateful for the help we get from some really great people and organisations. Zumba with Maura – Maura’s excellent Zumba classes in Cheadle, Stoke-on-Trent. DBN Web Design have been really helpful.